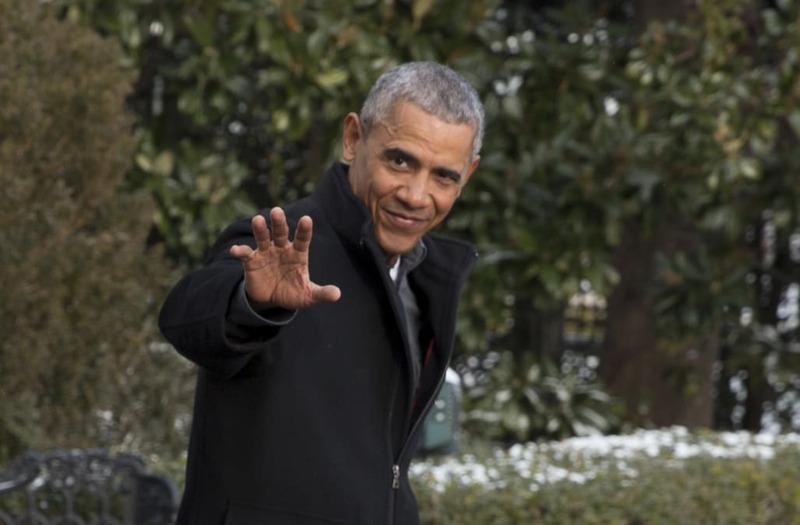 Spotify has responded to Barack Obama's quip about waiting for his job offer at the digital music service by creating a new position that seems fitting for the outgoing POTUS, that of President of Playlists. In a tweet to Obama on Monday, Spotify CEO Daniel Ek said "I heard you were interested in a role at Spotify. Have you seen this one?" before linking to a full-fledged "job" posting on Spotify's website. "In this position you will be overseeing our music curation and playlists team, across offices around the world," the posting notes, before tossing in a couple Obama buzzwords. "Spotify started in Sweden in 2006, but we're now in over 60 countries and counting. As an organization, we are full of hope, and always open to change." In the "what you'll do" section, Spotify says the PoP will provide "world-class leadership" to their playlist editors, "identify and substantiate new playlist ideas" (like one for "addressing the nation about health care legislation that bears your name") plus "analyze data and performance of playlists in a clear and transparent manner using all available intelligence." In a note that sadly disqualifies Obama's successor, Spotify says the job requires the person to "attend daily briefings." Some of the more on-the-nose bits in the posting are found under the "Who you are" section, such as "have at least eight years experience running a highly-regarded nation" and an ability to speak passionately about playlists at press events. "Let us be clear," it warns, "you should be nothing short of one of the greatest speakers of all time." The applicant should also have a "keen attention to detail" and good relationships with musicians. "Ever had Kendrick Lamar play at your birthday bash?" they ask. "We'd love to hear about it!" Oh, and a Nobel Prize and "experience in programming playlists at a federal level" are also big pluses for the gig. In another bit of side-eye directed at the next president, Spotify suggests the applicant could curate a playlist titled, "I just found my birth certificate." Spotify's entreaty to Obama comes a week after the president is said to have joked about a new career at the company once he leaves office. "I'm still waiting for my job at Spotify," he reportedly told former Swedish ambassador Mark Brzezinski at the White House. "Cuz' I know y'all loved my playlist." While it was certainly done as a tongue-in-cheek response to Obama's comment, the President of Playlists job entry leads to an actual form where you can submit a resume. Good luck! 2017 Streaming Wars: Will Spotify, Apple Music or Amazon Dominate?